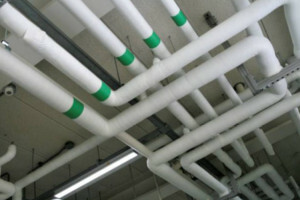 One of the most important parts of a building’s structure is its plumbing. The water main and sewer lines form an essential component of the plumbing system. 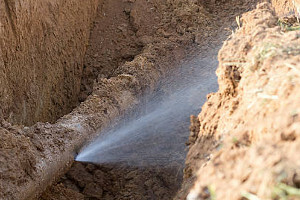 Though crucial, but often neglected part of a household plumbing, the repairing and maintenance of water main and sewer lines is the responsibility of the house owner. Any failures or leaks to these can lead to serious damage and huge repair expenses. Critical plumbing repairs and installations like plumbing main water installation and sewer lines demands expertise and skills of a professional. 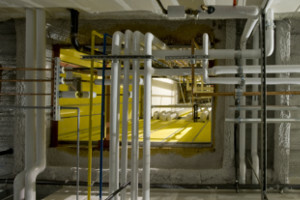 In residential locations, these plumbing systems are connected to a complex and high-pressure interconnected network of major city and state pipelines. Therefore, inspecting and maintaining these isn’t like the normal household plumbing. If you live somewhere in Columbia, Bowie or Howard County and have been facing such plumbing issues, be a responsible homeowner, and seek the services of highly trained professionals, like the ones at Definitive Plumbing and Heating to get a reliable inspection to track the problem at its source and to have a long-lasting fix. 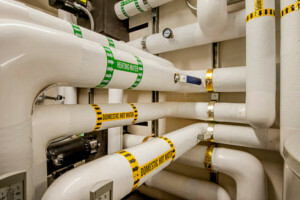 Over time, the water and sewer pipes undergo degradation due to environmental factors, chemicals and water, making them vulnerable to failures. However, these failures go unnoticed until they become serious. Even the minor plumbing faults can lead to significant repair expenses. The chemical properties of the soil in areas like Prince Georges County, Montgomery County, Virginia, Maryland etc. subjects the pipes to harsh conditions, making them lose their strength. If you have been experiencing any foul smell or water-logging or seepage around your main supplies, it might be a sign of pipeline failures. Schedule an inspection and repair with Definitive Plumbing and stay worry-free. When it comes to water mains and sewer line repairs and maintenance, people are often concerned about the destruction that comes along with it. Most plumbing companies take a simple approach of uprooting the topsoil and going in blind. While at Definitive Plumbing, our experience and systematic approach enable us to plan and process before taking any action. We employ advanced monitoring and detection system to track the source of the problem, thus minimizing the damage to your property, landscaping and hence reducing the repair cost and timing. We at Definitive Plumbing and Heating make painstaking efforts to polish our skills and train our professionals so as to deliver superior repair services that are both reliable and economical for our clients. Our elaborate portfolio of satisfied clients in Montgomery, Washington DC, Silver Spring and other geographies across the US speaks for our capabilities and exceptional customer experience. We operate in Columbia, Silver Spring, Gaithersburg, MD, Prince Georges, Howard, Montgomery, Bowie, Rockville, Washington, DC, Potomac, Germantown, Virginia, and Maryland. For best and quick services, call us today!